A new charity which pairs rescue pets with lonely pensioners is helping give people a fresh lease of life. Give a Dog a Bone… and an Animal a Home has paired no less than 20 dogs and cats with elderly allies in its first eight months alone. Louise Russell, of East Renfrewshire, was inspired to launch the project after a heartbreaking encounter with a man on the street, who said he’d become so lonely that he hadn’t interacted with anyone for weeks. But Louise’s charity is now on course to improve the lives of hundreds of elderly people — and just as many abandoned pets, too! She said: “Listening to that man, I realised we were missing a trick by failing to bridge the gap between rescue pets and older people who live alone. “We’re now able to give cats and dogs to those who have either lost their pets or just want companionship. 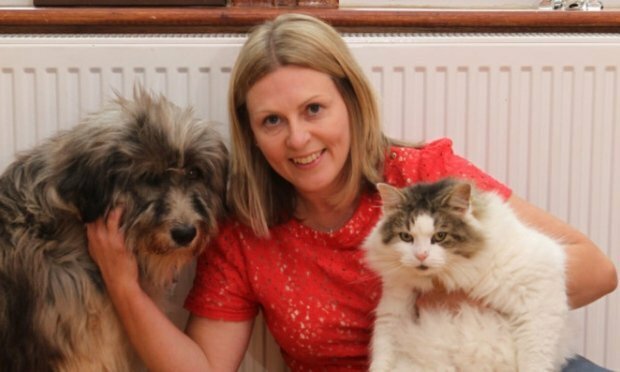 Louise — who owns a rescue dog and cat herself — launched the charity at the start of the year. Through the foundation’s website, the 39-year-old acts as a facilitator between rescue pets and those who live by themselves but are keen for company. With a wealth of contacts at rescue centres nationwide, Louise then sets out to find that specific person their perfect pet. She said: “The charity aims to remove the barriers that may stand in the way of an older person taking on an animal as a companion. “Those can include the rehoming fee, plus costs for both food and care, too. Research carried out by the likes of the World Health Organisation and the Society for Companion Animal Studies (SCAS) have proven that companion animals can help fight depression and stress and boost motivation and mental wellbeing. Studies also show that living with either a cat or dog helps lower blood pressure and cholesterol. Georgia Martin works with the charity Pets as Therapy, which provides visits from volunteers with their pet dogs to hospitals, hospices and care homes. She said: “Research shows that having a dog, for example, helps provide physical and mental health benefits. “For many people, though, it’s just the joy that comes from having an animal. “People describe it as being like sunshine — their mood is uplifted. Louise is now hoping to expand her charity to help more elderly people share in the joy that pets can bring. 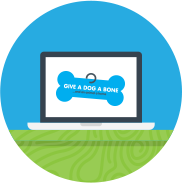 Visit www.giveadogabone.net for more information.